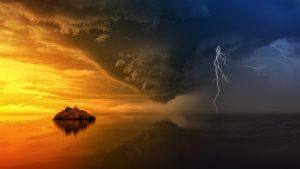 Just in the same way that you might check out the weather forecast so that you can plan your attire for the day, or to prepare for a trip to the beach without being drenched by a storm, a daily tarot reading will help you weather the storms of everyday life. Which means that you will enjoy an easier life, and who doesn’t want that? To find out more about how a daily tarot reading can help you breeze through life today check out the rest of this article for some interesting surprises. 1 What is a Daily Tarot Reading? 2 Why Are Daily Tarot Readings Different from Other Tarot Readings? 3 Who is a Daily Tarot Reading For? 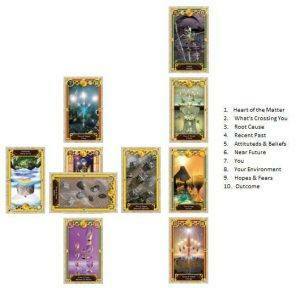 8.1 Want a more Personal LIVE Tarot Reading? What is a Daily Tarot Reading? A daily tarot reading can help you to understand what situations, atmospheres or environments lie in wait for you each day. And that’s not all. It can also bring your attention to any potential challenges that might pop up during the day so that you can then navigate your life with wisdom and avoid any pitfalls that can cause unnecessary problems, conflict, or drama. For example; if you are having a day when you are not on form, perhaps you are tired, or there is some astrological influence that is going to make communication is a problem. The cards might predict that issues are likely to escalate into conflict, or drama due to communication issues and that you are likely to put your foot in somehow during your interactions with others (even if it’s not your fault and you are drawn into a situation). The cards might advise you to concentrate on not speaking more than you need to or to think before you talk at work, or when you are with loved ones. So that you can avoid unnecessary problems. Why Are Daily Tarot Readings Different from Other Tarot Readings? Daily Tarot readings differ from other tarot readings. They are often shorter, and less detailed because the tarot is only focusing on the day ahead, and there is less information to focus upon. The daily tarot is focusing on the ‘now’. If you break down a time in the past (when you were experiencing difficulties over an extended period) into day by day accounts, there will be plenty of days where little happens and even some days when things seemed ‘normal’. This is exactly what your daily tarot readings will reflect – the day to day normality of everyday life. The benefit of a daily tarot reading is that you can avoid un-neccesary conflict, drama, or wasted time when you are using a daily tarot as a guide for your life. Whereas a general tarot reading will focus on everything that is happening in your life or surrounding the topic, you choose to focus on during a reading. Which includes the influence of your thoughts, actions, energy and of others. Time becomes less important, and all of the hidden aspects, potential outcomes, intentions and energy will be shown on the cards. A general tarot reading is complex, much more detailed and focused on the important issues in your life that require your attention, or that you are putting your attention on. A daily tarot reading focuses on what is going to happen on a particular day. Who is a Daily Tarot Reading For? Daily tarot readings are for everyone. Just like a daily horoscope is, or the weather forecast. A daily check-in with the tarot can is used in the same way that a daily horoscope is used and will capture the astrological and numerological weather for that day. There are a number of ways to enjoy a daily tarot reading, and many of them are free or cost little money. 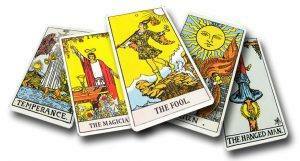 There are lots of sites that offer a free tarot card readings online including ours! During a free daily tarot reading, you will usually see an image of the reverse of some cards, and you will select one of the cards using your cursor. The meaning of the card is then revealed to you. But you will need to translate that meaning into your own life. Shuffle the cards, while asking what today is going to bring. Interpret the message on the card (if you are a beginner, use the guide that comes with the cards to give you your reading). 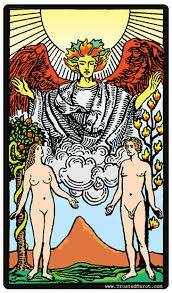 Again you will have to translate the meaning of the card into your life, and if you are using the booklet that comes with your pack of tarot as a guide, you’ll be looking at the overall theme of the day rather than anything specific. E.g. 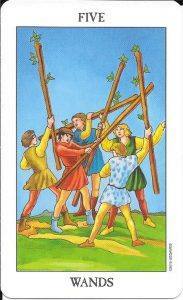 If you pull the five of wands, you will learn that you are likely to experience competition or healthy conflict. A professional tarot reader would be likely to say more such as; ‘ You could experience competition or healthy conflict today. It’s important to be mindful of this, but it will pass quickly and give you an opportunity to learn something from the experience. Make sure you are a team player and that you are aware of your opponents and you’ll do fine. Just don’t take anything that happens to heart and pay attention to your opponent’s strategies – there’s something you can learn from them. A quick ten minute reading each day from a professional tarot reader is a great way to get the lowdown on what’s occurring in your life. They’ll give you more depth to the reading because they can read the cards deeply and will be able to help you translate the messages into your life. Tarot cards also have more than one message, they have zillions of messages, even from one card, so when you have a professional reading your tarot, the reader will ensure that they can translate the message that is right for you. To make the most out of your daily reading, it’s wise to consider using it as a general guide and not definitive. Of course, if you are advised to be careful during the day then take the advice but don’t live by it. 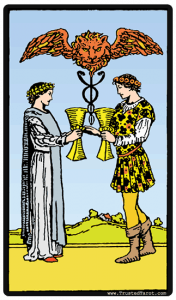 If you pull The Lovers card or the Two of Cups, and you are single, don’t bank on the idea that you will meet your perfect person today. Because you’ll be disappointed if it doesn’t occur. The daily tarot reading is very general, and you need to bear that in mind (unless you have a full reading). But of course, in the case of The Lovers, it wouldn’t hurt to wear your best clothes and spruce up with your favourite scent – just in case. At the very least you’ll feel great for the day! You can expect a general forecast for the day from a free daily tarot reading. Some days more will be happening in your life than others, so sometimes the cards will be picking up on stronger energy during these times. But if you choose to have a full tarot reading from a professional, you can expect an uplifting, detailed reading which will focus on the most critical aspects of your life right at that moment in time. Unless you ask specific questions and then the cards will focus on bringing you the answers you need. Know the pitfalls of the day. Forewarned is forearmed. Gives you control over your life. Can help you plan and schedule your day. Make the most of good energy. Can help you to avoid conflict. Daily tarot readings are usually short and sometimes limited. If you are not meant to hear something you won’t and vice versa. The right message on the cards may not have enough time to reveal itself to you in a way that you can relate to.